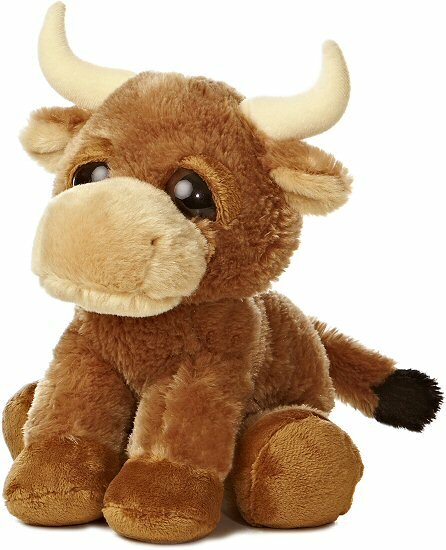 Ranger, this Dreamy Eyes stuffed bull, is ready for hours of fun and adventure along with lots of cuddling and snuggling. 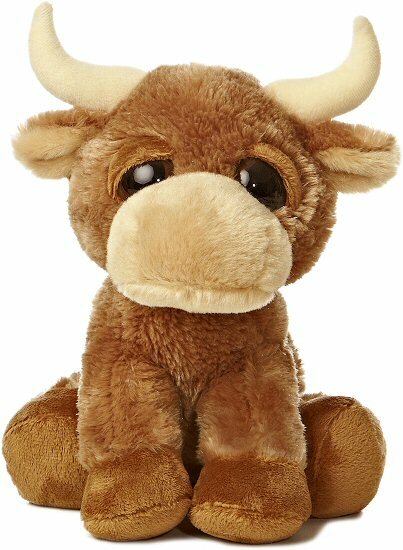 Plush Ranger Bull has soft brown fur, a black-tipped tail, cute cream horns, and big sleepy brown eyes. Standing, sitting, or simply flopping down, this stuffed bull will melt your heart with just one look into those big brown eyes. Famous Bulls: When I think of bulls, I automatically think of bull riding and some of the most famous bull riding bulls are Bodacious, Little Yellow Jacket, and Blueberry Wine. Kinda makes you wonder how they come up with names for rodeo bulls. Mini Flopsie Toro, this adorable little stuffed "red" bull, has soft rust colored fur, tan muzzle and fun horns, and a sweet face. Tyson Jr. this adorable stuffed longhorn bull loves every place in the world as long as he is with you.